The image below shows an outline of our service area. Click the link below to view a larger PDF. 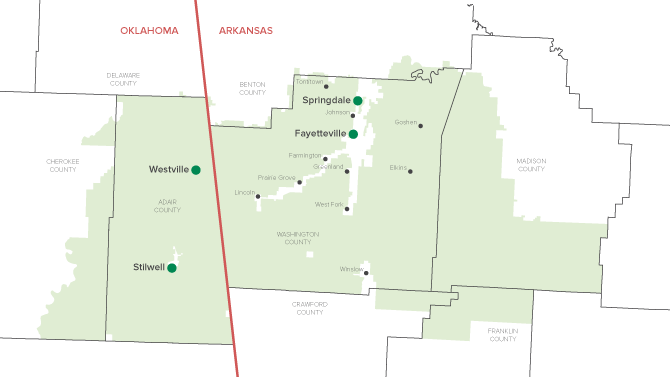 Areas in green are served by Ozarks Electric Cooperative.